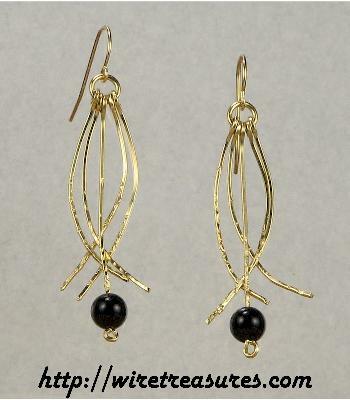 Long straight hammered wire pendulums with 6mm Onyx beads knock curved wire danglies silly in these knockout 14K Gold Filled wire earrings. When you wear these earrings, no one will know which dangly will get knocked next! Also available in Sterling Silver! These earrings hang down about 2-1/4 inches. You are visitor number 3,450 to this page.